One good case out of two ain’t bad. 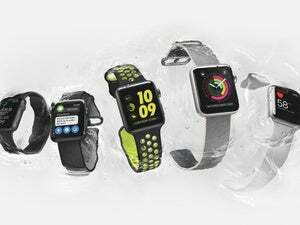 The iPhone 7 Plus is water resistant, but it’s not waterproof. It’s not particularly resilient, either: drop one on the ground and it’s a crapshoot as to whether or not you’ll pick it back up with a shattered display. Enter Lifeproof’s NÜÜD ($100 MSRP) and FRĒ ($90 MSRP) cases. 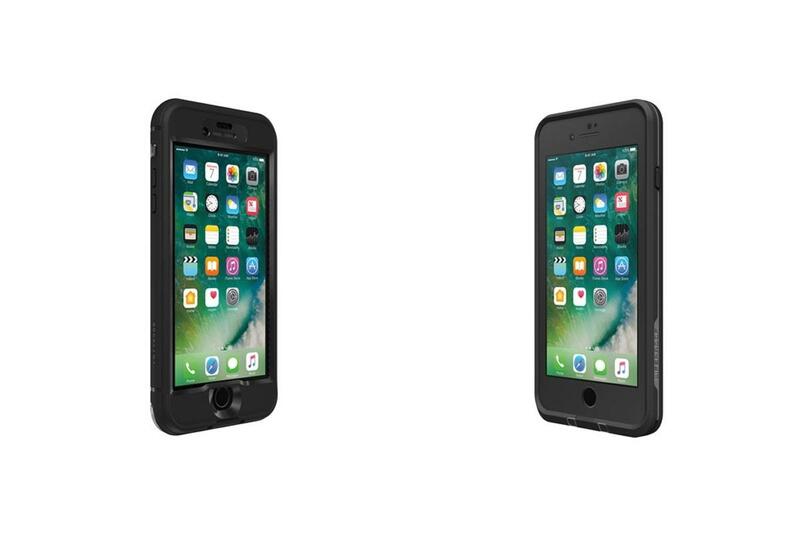 Both cases are designed to keep your pricey tech-slab from being destroyed by the elements or misadventure. The back of the NÜÜD case is transparent, allowing you to enjoy the iPhone 7 Plus’ industrial design while tapping and swiping away on an unprotected display—nothing will get between you and your content. The FRĒ sheaths your smartphone in layers of rubber and rugged plastic and protects your iPhone’s display from scratches with a thin plastic membrane. 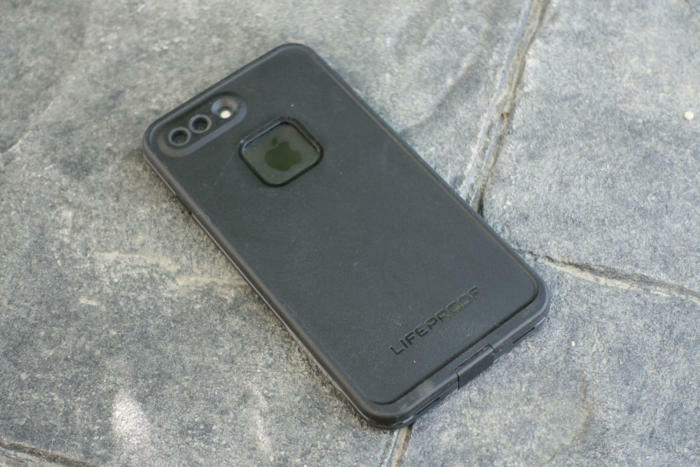 Both cases come with watertight port covers for keeping the elements out and a tool to help you remove your iPhone from its case if you ever feel the need to do so. Without having handled them, you’d think that the NÜÜD would be the one to get, as it offers almost as much protection as the less attractive-looking FRĒ does. Man, are you wrong. With the exception of the fact that the NÜÜD renders the smartphone inside of it dust, must, snow and waterproof down to 6.6 feet for an hour (just like the FRĒ does,) it is a lousy case in almost every way. Oh, so many reasons. Let’s start with its looks. Yes, you can see your iPhone 7 Plus through its fully transparent back—everyone will know that you are a man of taste by the Rose Gold handset you’re rocking. That is, until the NÜÜD’s back panel gets scuffed up, which during testing, happened pretty quickly. Before I had the chance to lay a beating on it in the backcountry or throw it in the sink to see if it was waterproof, as promised, the NÜÜD suffered its first injuries after sharing a ride in my jacket pocket with a set of car keys. The NÜÜD’s shiny plastic shell is an easily scratched dust and fingerprint magnet. I wasn’t a fan of the case’s design either. Its big, temporarily beautiful transparent back panel comes at a cost: size. The thick rubber gasket required to seal an iPhone up inside of the NÜÜD makes the whole package feel incredibly large in the hand—like larger than an iPhone 7 Plus large. I didn’t think it would be possible for my favorite giant smartphone to be any more awkward to handle, but here we are. Then there’s what the NÜÜD does to the iPhone 7 Plus’ sound. It’s awful. No matter what I listened to on my iPhone’s stereo speakers, I found that the NÜÜD’s plastic vibrated along to the noise of the audio, making everything sound like it had been strained through a pair of bargain store earphones left to soak in soup overnight. Having said all of this, it’s worth noting that the NÜÜD did an excellent job of protecting my phone. After rolling it in a mud puddle and then leaving it in a river for 20 minutes to clean it off, I found that the NÜÜD was capable of keeping my handset safe and dry. It was also able to protect my phone from being destroyed, despite my dropping it, repeatedly, from a height of roughly six feet onto concrete. Now, let’s talk about the FRĒ. Blocky and solid, the FRĒ won’t turn any heads with its aesthetics. 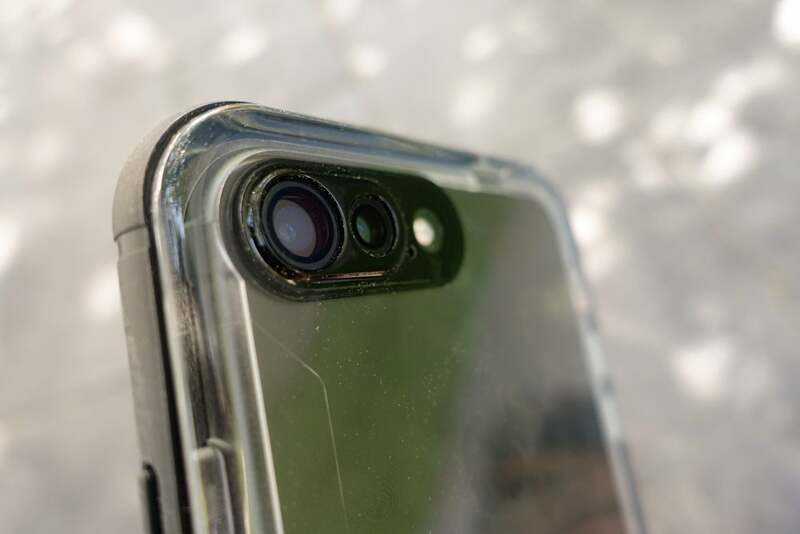 The only nod to the fact that there is an iPhone 7 Plus inside of it is a small plastic window in its back panel sized to show off your phone’s Apple logo. The window allows some of the sound that gets trapped inside of the case’s layers of plastic and rubber protection to get out, without the distortion that I experienced while using the NÜÜD. I found the FRĒ was difficult to scratch without being intent on doing so and its matte finish made it easy to keep a grip on and repelled fingerprints. What’s more, for reasons only a materials engineer might be able to explain, the FRĒ, which offers more protection, weighs less and has slimmer dimensions than the NÜÜD does. I liked how it felt in my hand, as it added little to the size of my iPhone 7. Even though ours looks a little worse for wear after testing, the FRĒ is still one handsome, slim, protective case. The plastic membrane that protects your iPhone’s display while it’s inside of the FRĒ gets the job done—in the short-term. After a month of intentionally subjecting the FRĒ to pockets full of car keys and grit-covered fingertips, I noted that while the membrane protected my phone, it was no longer pretty to look at. Catch it in the right light and it’s possible to see all of the hurt you’ve done to it. That’s lousy for anyone that uses their phone to watch movies on a regular basis. I subjected the FRĒ to the same drop, mud, and waterproof testing as I did the NÜÜD. I was relieved to discover that it protected my iPhone 7 just as well. If you’re in the market for a waterproof case to slap on your water-resistant phone, get the Lifeproof FRĒ. It costs and weighs less than the Lifeproof NÜÜD does, is slimmer and doesn’t make the speaker in the iPhone 7 Plus sound horrific. Most importantly, it offers the same level of protection against the elements as the NÜÜD does, and comes with a built-in protective membrane for your display. Causes sound played through speakers to become distorted. Offers a higher level of protection that most people need for their already water-resistant smartphone.